Our convenient central London location allows clients to view and order samples in person while also benefiting from the expert advice and guidance of our in-house designers. 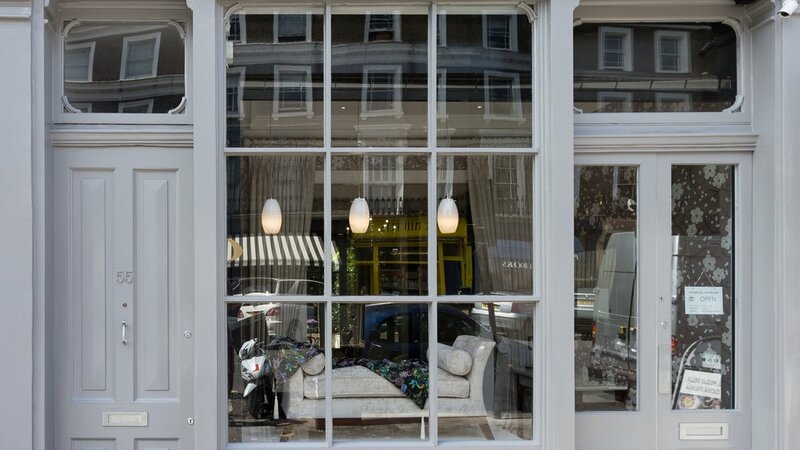 Within our Primrose Hill showroom are displays of our bespoke furniture, upholstery and joinery as well as examples of our hand-crafted and modular kitchens and bathrooms. Selecting the right wall covering and paint colour for your home can be a daunting task for many. However, our knowledgeable design team can guide you through the latest trends in designs, styles, colours and finishes. Our in-house team of decorators can also provide an estimate and undertake the decoration work. Whether it’s for a new cushion or the re-upholstery of a complete three-piece sofa suite, our showroom stocks a large library of fabric designs for you to choose from. We can offer advice as to the most suitable styles and types of material for your project as well as providing a swift order and delivery service for your purchases. From porcelain and marble tiles to luxury wood, carpets and rugs, Primrose Interiors can help you to select the ideal flooring options for your home. Our teams can also advise and install additional flooring solutions such as underfloor heating and sound installation as well as external decking and paving.